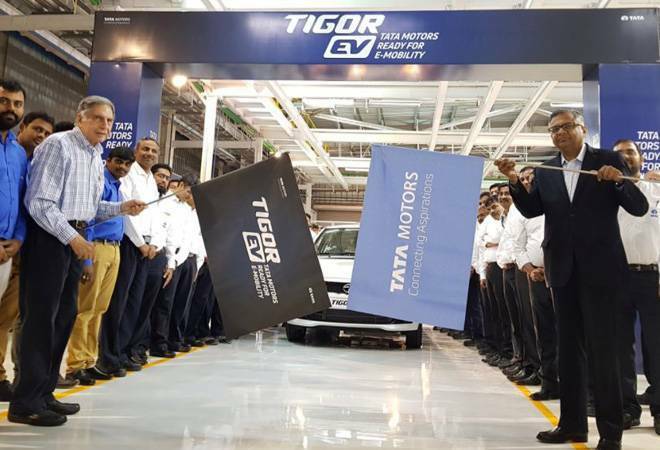 Out of the first lot 500 electric vehicles in the first phase, Tata Motors was to supply 350 units of its e-Tigor and Mahindra & Mahindra got the order for 150 cars. In less than a year after state-run Energy Efficiency Services Ltd (EESL) floated a tender for 10,000 electric cars amid much fanfare, India's EV growth story seems to be headed in a wrong direction. According to a report in Livemint, senior government officials have refused to use electric cars made by homegrown carmakers - Mahindra and Mahindra and Tata Motors - due to poor performance and low mileage. Out of the first lot of 500 electric vehicles in the first phase, Tata Motors was to supply 350 units of its e-Tigor, and Mahindra & Mahindra got the order for 150 cars. "Both models failed to run even 80-82km on a single charge within city limits," the report quoted an official from the ministry as saying. Battery capacity was not up to the mark, compared to global standards, it said. Taking into consideration the shortcomings of e-Verito, Mahindra is now developing a new electric vehicle that gives more mileage, the report added. EESL, a joint venture of four power public sector units, which is spearheading electrification of the 5-lakh odd cars used by the government for official use told the daily: "Since it is a new technology, we wanted to gain confidence on our products before delivering it to our clients... We will be deploying about 200-250 electric vehicles by mid-July. The conditions of the second tender are being re-evaluated and will be released soon. EESL will continue to enable more energy and fuel savings by creating a robust market for e-mobility in India." Earlier this year, EESL pushed back its plans for putting the first batch of battery-driven cars - procured under the first tender floated last August - on the roads by nearly a year. This was mainly due to the lack of infrastructure in terms of charging points for e-vehicles. EESL had floated a tender for 4,000 charging stations in September last year, around the same time as its tender for cars, but it had to be scrapped due to the lack of clarity on specifications and the criteria for testing the chargers. Then, it invited a snap bid for 300 charging stations in late October, which also had to be cancelled. After that, another tender for setting up of 250 charging stations in Delhi-NCR was floated in November; it was awarded to Exicom Power Solutions and EVI Technologies. Tata Motors had won the tender with a winning bid of Rs 11.2 lakh for its electric Tata Tigor, a price that was later matched by Mahindra & Mahindra for its e-Verito in the first phase of procuring 500 vehicles.